A self-learning A.I. from Ziva Dynamics animated these monsters. In Pacific Rim Uprising, the largest Kaiju ever attacks Earth in a convoluted way that we won’t spoil here, but the Kaiju themselves came to life in this movie with the help of a self-learning artificial intelligence that can animate realistic movements for the Kaiju. 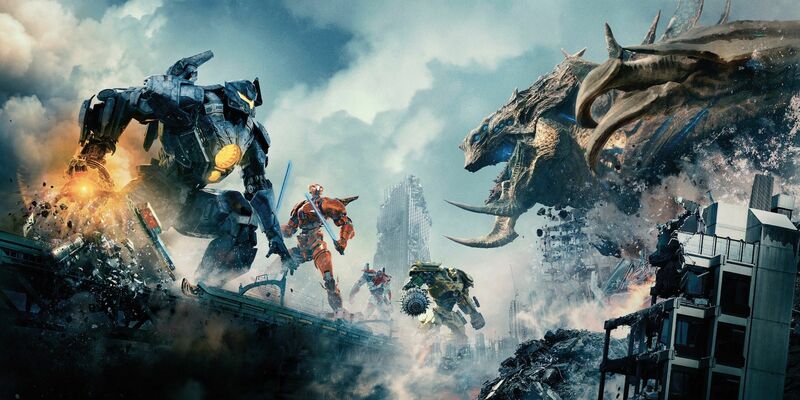 Gearing up for the release of Pacific Rim Uprising on Friday, Inverse chatted with Michael Smit, chief commercial officer at Ziva Dynamics, about how Ziva’s A.I. software made the new Kaiju in the movie some of the best-animated city-smashing creatures we’ve ever seen on the big screen. But with a Kaiju, the self-learning software compensates for a much larger size: “It allows muscle and fat to behave at an enormous scale,” Smit explained. All of the creature work on the Kaiju was done by Double Negative Visual Effects, meaning that they designed the built the 3D assets. Ziva’s self-learning A.I. analyzed various programmable Kaiju movements, learned from how the layers of “soft materials” responded under various forces, including gravity. In simpler terms: Imagine an A.I. watching a Kaiju walk like the lion above, then the Kaiju jumping, roaring, swinging its tail, taking a punch — all the while the A.I. learns how muscle tissue moves in realistic situations. Double Negative used Ziva’s software and physics simulation to bring the Kaiju to life. It still takes a lot of work to make the animation happen, but it beats artists workin tirelessly to animate these beasts frame by frame, which has been the industry standard for decades. As a result, creative design and animation of these new Kaiji are, as it turns out, pretty awesome. Three new Kaiju attack Earth all at once in 'Pacific Rim Uprising'. Inverse’s own review of Pacific Rim: Uprising noted that “Uprising … moves away from the first film’s dark, ‘naturally’ lit aesthetic. This allows for action scenes that aren’t as stylized, but easily surpass the gloomy fights from the original in terms of sheer thrills.” Perspective makes all the difference as the giant robots and beasts move faster, and in more dynamic ways. All in all, the action is [more exciting(https://www.inverse.com/article/42636-pacific-rim-uprising-fight-scene-spoilers) this time around, and a big part of that has everything to do with these new tools used for animating the Kaiju. *Pacific Rim Uprising is out in theaters March 23.